Pam is the Operations Manager at Haire Wealth Management, a position she has held since its establishment in 2004. Her responsibilities include processing new business operations, facilitating the account transactions for existing clients, preparing portfolio updates for client meetings, and assisting with the wealth plan process. But most importantly, Pam cultivates and nurtures the strong relationships we have with our clients. Although Pam has a keen knack for finance and investments, it’s something that came to her later in life. 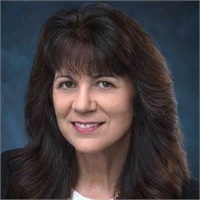 She had spent the first 20 years of her professional life in the aerospace industry, helping prepare extensive proposals for multi-million dollar contracts. Originally from Latrobe Pennsylvania (near Pittsburgh), she is an avid Steelers fan. She enjoys spending time with family and friends, traveling, and taking walks with her dog. In 2013 Pam earned her Registered Paraplanner designation. Individuals who hold this designation have completed a course of study encompassing the financial planning process and concepts as well as an internship. Additionally, individuals must pass an end-of-course examination that tests their ability to synthesize complex concepts and apply theoretical concepts to real-life situations. RP® designees can effectively identify, analyze and recommend investments that are appropriate for individual’s diverse needs, while working with the financial planner. Pam holds a degree in business administration with an emphasis in economics.